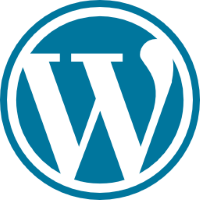 WordPress is the most popular CMS for creating websites because it is easy to learn and it is possible to add many features via extensions and themes available. We offer specific Managed Services for WordPress ranging from the installation of your server, to the design of infrastructure for high traffic sites. Installing WordPress on a VPS or a dedicated server with an optimized configuration based on Nginx PHP7 & MariaDB. Installation of our backup system and daily backup of your WordPress site on our platform for 30 days.